Copyright �2004 PopEntertainment.com. All rights reserved. Posted October 2, 2004. Mention the name Christopher Walken, and anyone you�re talking to will have a very strong, concrete image. There are very few actors in the world who spur such strong name recognition, such certainty on the part of an audience that we get what he�s all about. He�s a hard, tough guy who is maybe more than just a little off-balance. He is this far from snapping at any moment. A Walken character is brilliant, but living in a personal hell that would scare the pants off of most of us. It�s kind of funny to think that this is coming from a guy that cut his teeth as a child performer (under the name Ronnie Walken on the 50s TV series The Wonderful Johnny Acton) and a player in theatrical musical comedy. However, unless you were off-Broadway in the 60s to early 70s, this lightness is pretty much forgotten, occasionally popping up in odd places. For example, he has guest hosted on Saturday Night Live six times, and he was terrifically funny in his deadpan dance on Fatboy Slim�s offbeat music video for �Weapon of Choice.� He�s a man unafraid of risks, after all a few years ago he did perform in a Broadway musical version of James Joyce�s famously downbeat novel The Dead. Sadly, he is occasionally willing to take a dumb role just for the paycheck (The Country Bears or Joe Dirt, anyone?) However, for the most part, he has put together a spectacularly edgy body of work. The first time the public at large really noticed Walken was probably in his small but indelible part as Diane Keaton�s possibly suicidal brother in 1977�s Best Picture winner, Annie Hall. Within two years, he was winning an Oscar of his own, as Best Supporting Actor for his searing performance as Nick in The Deer Hunter. In the years since that defining role, he has played parts in nearly a hundred films, including Pulp Fiction, Catch Me If You Can (for which he was again nominated for Best Supporting Actor), The Dead Zone, At Close Range, A View To A Kill, Batman Returns, Modern Romance, Sleepy Hollow, Biloxi Blues, The Rundown, The Suicide Kings and The King of New York. In 2004 alone, he has had significant roles in the Denzel Washington revenge drama Man in Fire, and he was one of the few bright spots in the somewhat misguided remake of The Stepford Wives. His newest film is one of his best roles in years. 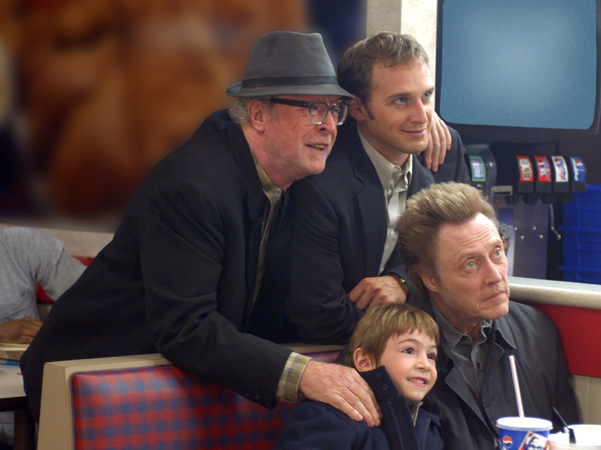 Walken co-stars with Josh Lucas and Michael Caine in Around the Bend, a comedy-drama about four generations of men in a family trying to find closure after years of estrangement. It is the directorial debut of The Road to Perdition screenwriter Jordan Roberts. 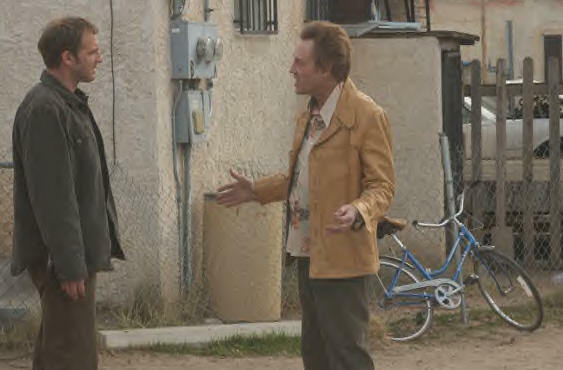 Walken plays Turner Lair, a former addict, small-time musician and even smaller-time crook that abandoned his son Jason (Josh Lucas) after a mysterious childhood accident that partially crippled the boy. Years later, Jason is a banker living in a tiny Los Angeles apartment with his son Zach (Jonah Bobo), his grandfather Henry (Caine) and Henry�s nurse (Glenne Headley). Turner breaks out of prison to visit when he learns that Henry is dying. His return delights the old man, who starts planning on one final trip for the four Lair men. Jason is a little more cool to the return of his father. He is miserable in his work and in the midd le of getting a divorce. The return of Hunter seems like just one more hassle in his life that is not needed. Hunter really has no need for a tortured reconciliation either, he plans to spend the night and then disappear to Mexico. Therefore, Henry goes to extreme measures to ensure that the family will take this scavenger hunt through their past. So four generations of Lair men pile into an old VW van and start a tour of their history, starting in Los Angeles and eventually climaxing in Albuquerque. Still, Walken insists that even though he was able to embody Turner with such conviction, it does not mean that he necessarily related to him any more than he did any other character that he has played. However, they did have a similar background. �He�s of the 70s. Rock �n� roll. I lived through all that. I had the bell-bottom pants,� Walken laughs. �There was a scene in the movie that was cut. That van is established in another version as mine. That was my car. When I showed up and went into the van, it was full of all these old clothes, including my wife�s. There was a lot of going through stuff and remembering and so forth. That didn�t end up in the movie. But the clothing that I wear when I show up, I get back into my old 70s stuff, which still sort of fits. A little tight. Walken was also thrilled with the opportunity to finally work with Caine, whom he had met a few times over the years socially, but never worked with. He was also very impressed with how Josh Lucas kept what is perhaps the most normal (or perhaps repressed) character in the film on an even keel. 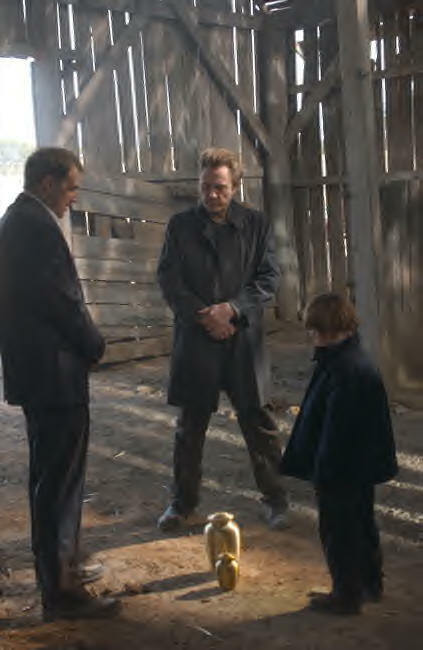 Some of Walken�s best scenes were with six-year-old Jonah Bobo, who plays his grandson. There is a playfulness to the performance that he doesn't always get to tap in his more serious roles. The characters are able to connect in a way that Hunter just can�t with his own son. However, Walken thinks that relationship is only natural. By the time we do get to Albuquerque and find out the big secret of the Lair men, it is handled with restraint and realism. Instead of the men hashing it out over and over like they would in normal formulaic Hollywood fare, when Hunter finally admits what he had done it is allowed to just lie there. Simmer a bit. Allow the characters and the audience to digest what had happened and then move on. Okay, there you have it, casting directors. The next stop-the-presses idea. 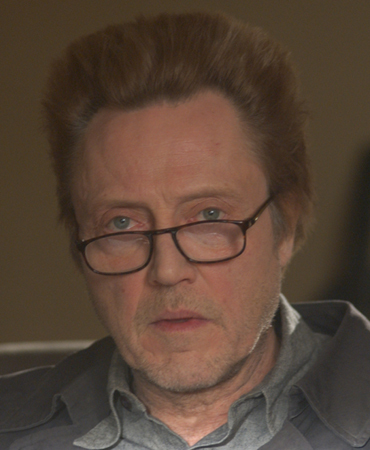 Christopher Walken in an average, everyday role. Just do the right thing. Copyright �2004 popentertainment.com. All rights reserved. #1 � 2004 Neil Jacobs. Courtesy of Warner Independent Pictures. All rights reserved. #2 � 2004 Neil Jacobs. Courtesy of Warner Independent Pictures. All rights reserved. #3 � 2004 Neil Jacobs. Courtesy of Warner Independent Pictures. All rights reserved. #4 � 2004 Neil Jacobs. Courtesy of Warner Independent Pictures. All rights reserved.